Think about how many times you've used and disposed batteries in your entire existence. 15 billion batteries are made and disposed of each year. The idea itself is alarming because all of these used batteries are adding up to our global waste problem that we are faced with today and even risking the environment because of the harmful chemicals and toxins they produce. 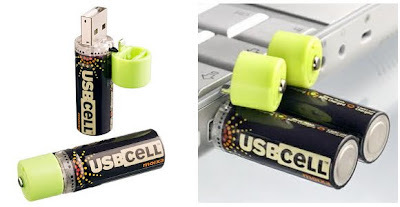 And because of this concern to our environment, along with our promising advancements in technology, USBCELL introduced its eco-friendly self-charging cell packs that you can use anywhere with the functions of a standard battery. It looks exactly as a normal AA battery it's just that it flips open so you can charge it on USB-enabled devices such as PC's or laptops. The batteries as of now are only available on AA sizes but other categories will soon be developed.